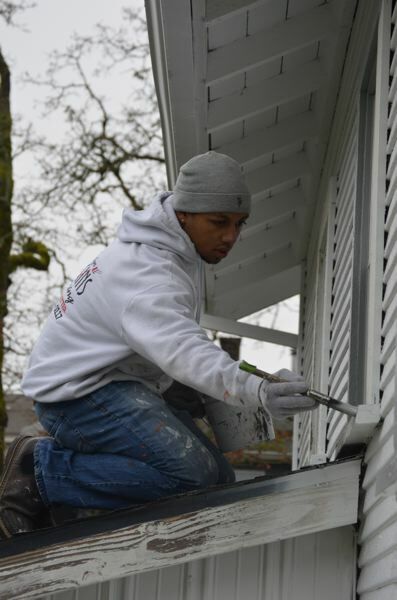 When a St. Helens veteran needed his house repainted, he was shocked at the nearly $9,000 price tag that came with the job. Despite an initial estimate of $2,800, old exterior paint on his house contained lead, pushing the actual cost skyward. With a fixed income, he knew paying the bill wouldn't be easy. That's when the owner of a Warren-based painting company stepped in. Carolyn Jenkins, who runs her own house painting business, Carolyn Jenkins Painting, offered to do the job for free. Jenkins, who served as a chief petty officer in the U.S. Navy for 25 years, heard about the St. Helens man's dilemma and knew she wanted to help out. "I know what it's like to live on a budget and it just spoke to my heart," Jenkins said. "And I thought, I gotta do something for a veteran." The St. Helens man, who served as a gunnery sergeant in the U.S. Marine Corps for more than 20 years and saw combat in Korea, asked that his name not be used in this story, but he wanted to recognize the company and Jenkins for providing services to him. Jenkins secured a paint donation from Sherwin-Williams, and employees from the paint supplier initially offered to also do the job. But when they discovered lead-based paint on the house, Jenkins made the decision to have her company do the work as it is certified for lead-based paint removal, she noted. After talking with her employees, they volunteered to help out. One employee, Jonathan West, served in the Marine Corps Reserve and felt he had a connection to the job. "I can relate. It's personal," West said. Carolyn Jenkins' son, Justin, who also works for the business, said it felt good to give back to someone in the community. "Because my parents are veterans too, I respect them because of what they do," Justin Jenkins added. "And I do this every day. I love spicing up people's houses. We're doing something nice for somebody." Carolyn Jenkins explained that the paint-removal process is time-consuming and complex, and is partly why the cost to repaint the house was so great. 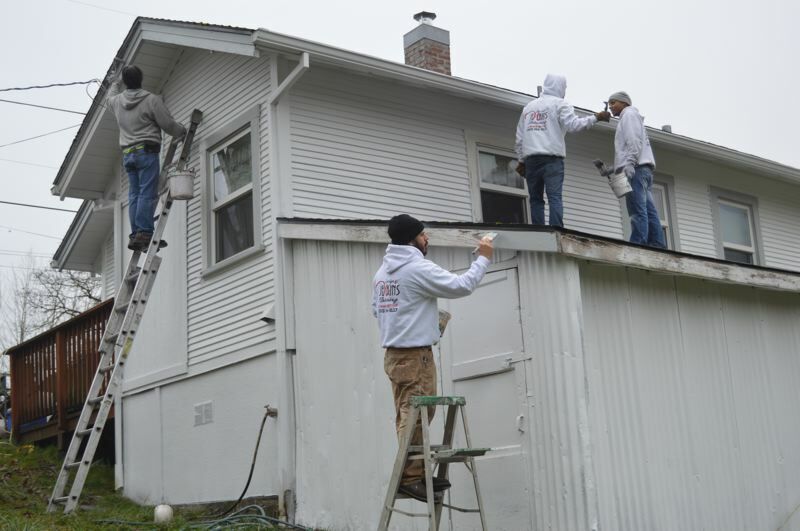 A crew of four spent several days onsite when weather was favorable, taping the house and scraping off old paint. Crews then applied peel bond, which acts as a glue-like primer over the wood siding, and ultimately applied a fresh coat of white paint to the exterior. On Monday this week, crews were placing the final touches on gray trim along the porch, roofline and windows. "What these folks are doing is admirable and I really appreciate it," the veteran homeowner said Monday morning. "I'm extremely grateful Carolyn and the company decided to do this." While this is the first time Carolyn Jenkins' company has donated a paint job, she hopes she can do it again for someone who needs it. She also said she plans to work with Russ Clark, the Columbia County Veterans Service Officer, in the future to identify others who could benefit from her services.